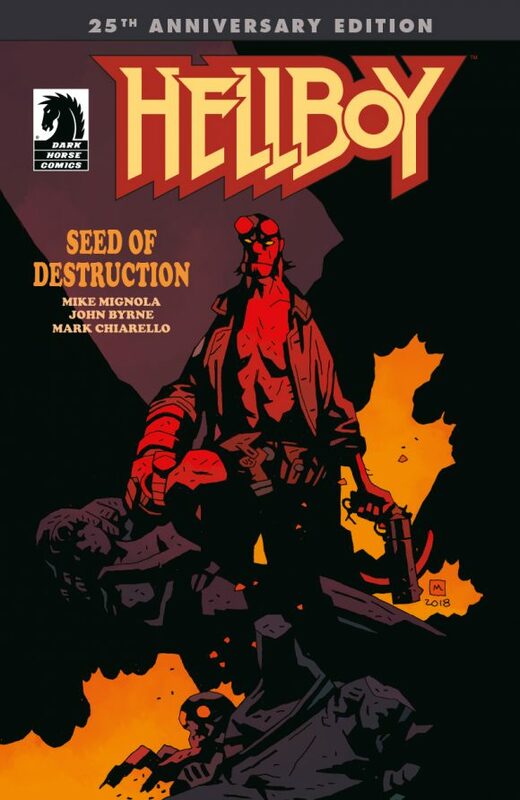 Big year for Mike Mignola’s Hellboy coming, what with the 25th anniversary of Seed of Destruction #1 in March and that fancy new movie starring David Harbour following quickly in April. 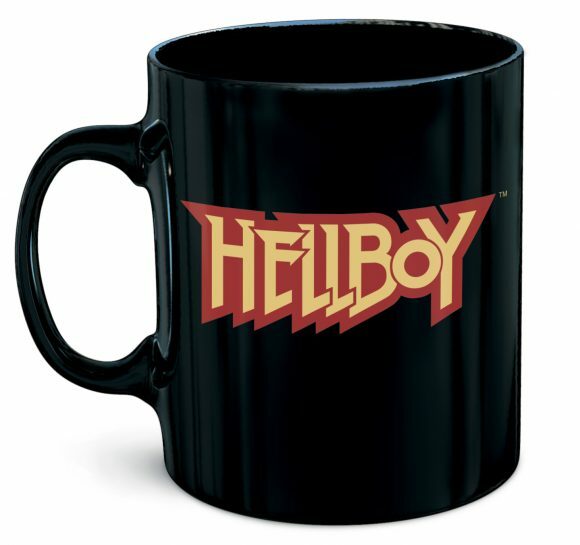 So you gotta get your Hellswag on, right? Right. 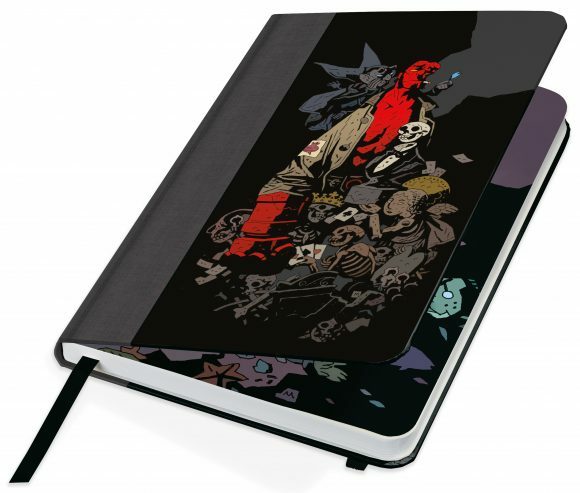 Well, Dark Horse has you covered with a run of Hellboy collectibles set for the months ahead. These will be on display at 2019 Toy Fair (Feb. 16-19 at New York City’s Javits Center) but they’re also available for pre-order at online retailers. You should also check with your local comics shop. 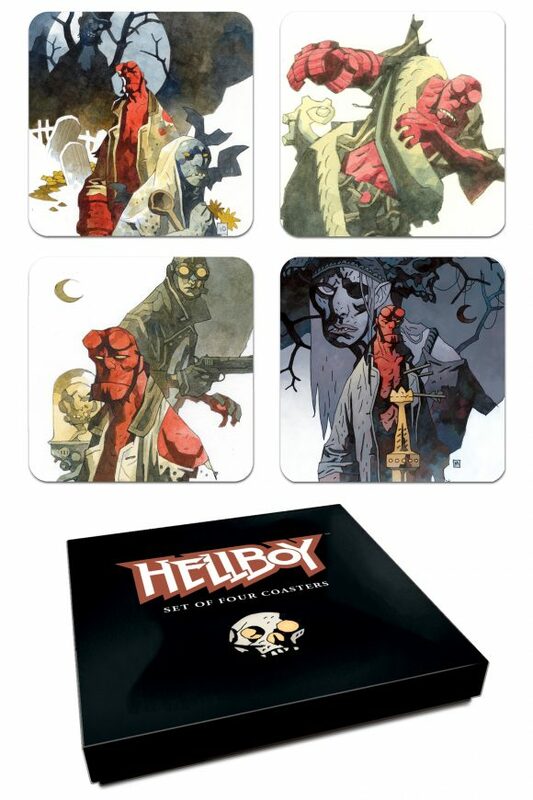 Four cork-backed coasters featuring Mignola’s watercolor images. 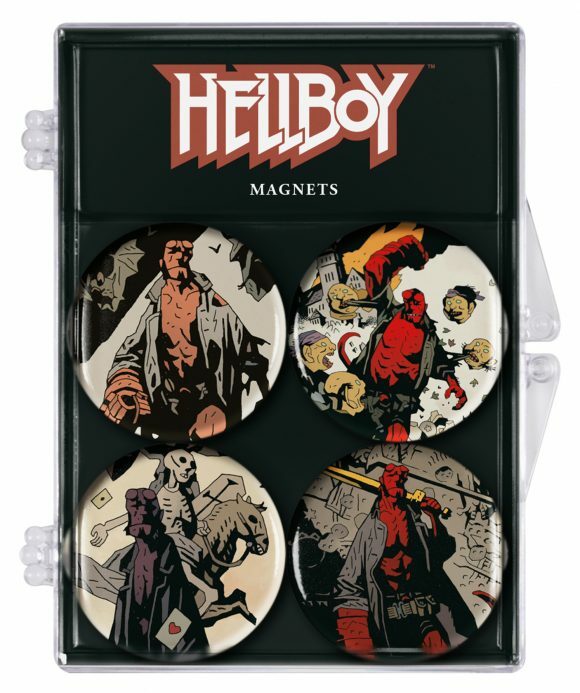 Four 1.25-inch magnets. 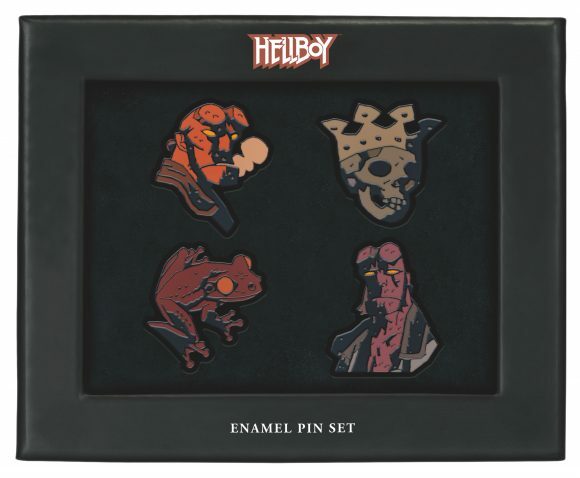 The four moods of Hellboy: in action, triumphant, ready for battle or amid the bats. 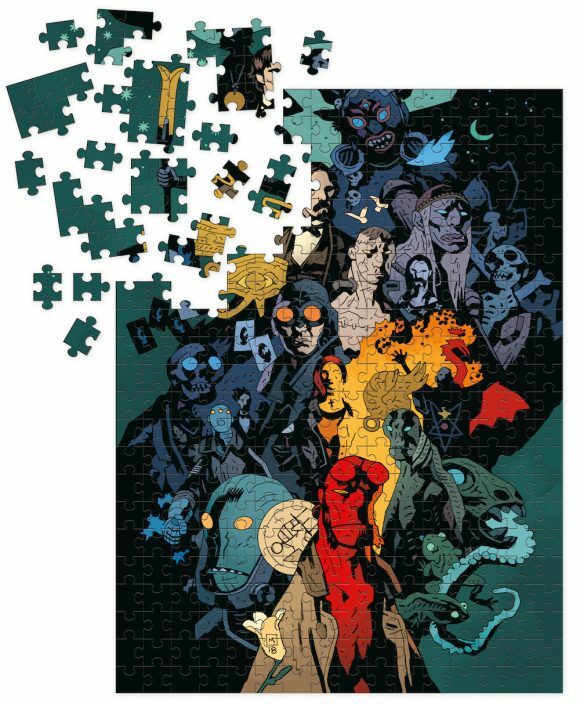 Deluxe 1,000 piece puzzle featuring an impressive array of characters from the Hellboy universe. Puzzle measures 20” x 27”. This cloth-bound, 192-page journal has a bookmark and pocket in the back cover. 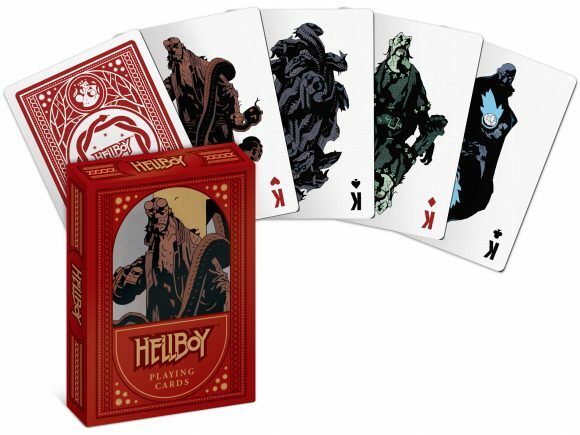 Dark Horse worked closely with creator Mike Mignola to create a deck featuring your favorite good guys and bad guys. Standard-size deck with 52 cards and 2 jokers. 11oz. 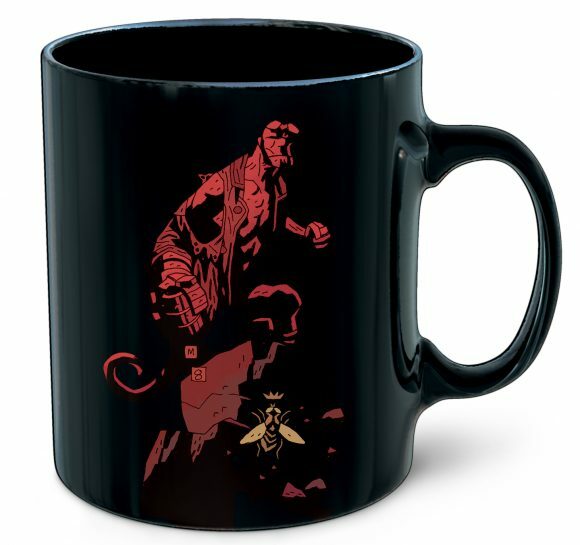 mug with image of Hellboy and logo.